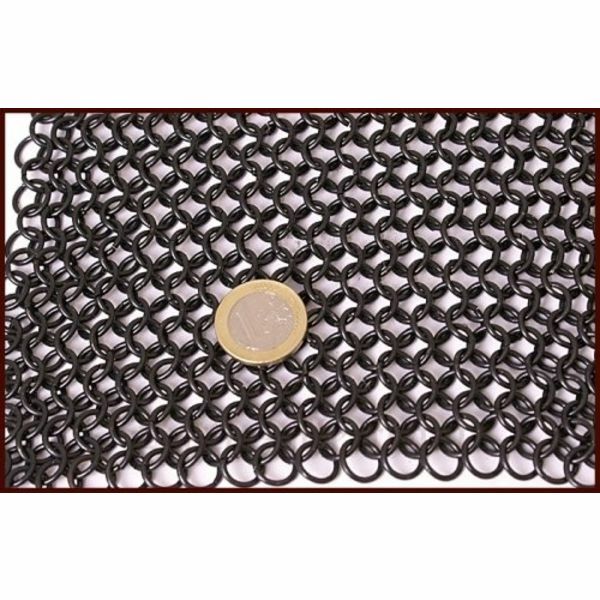 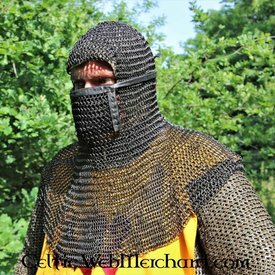 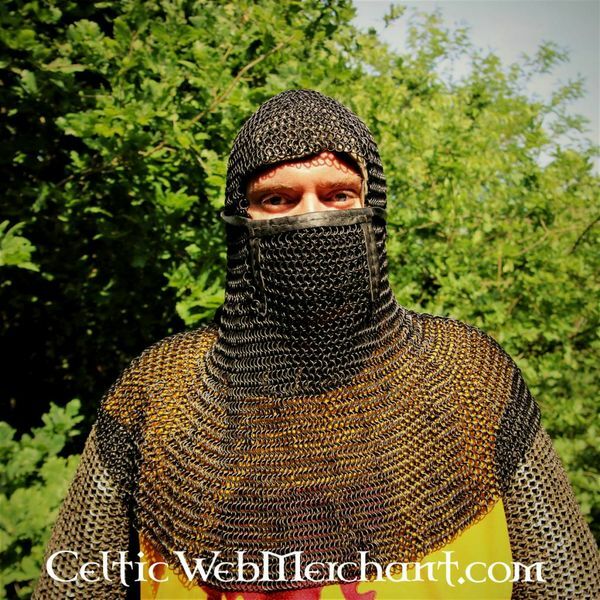 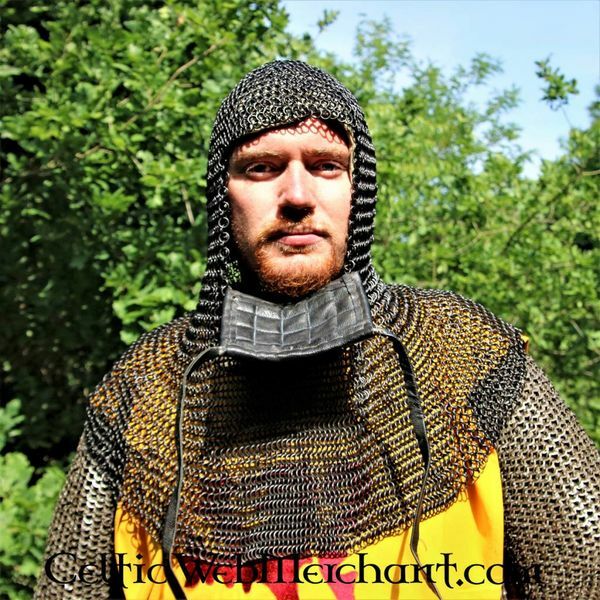 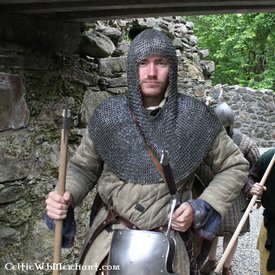 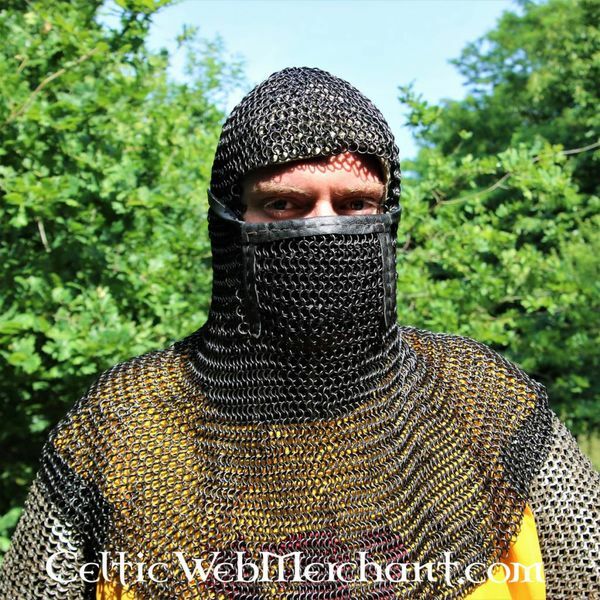 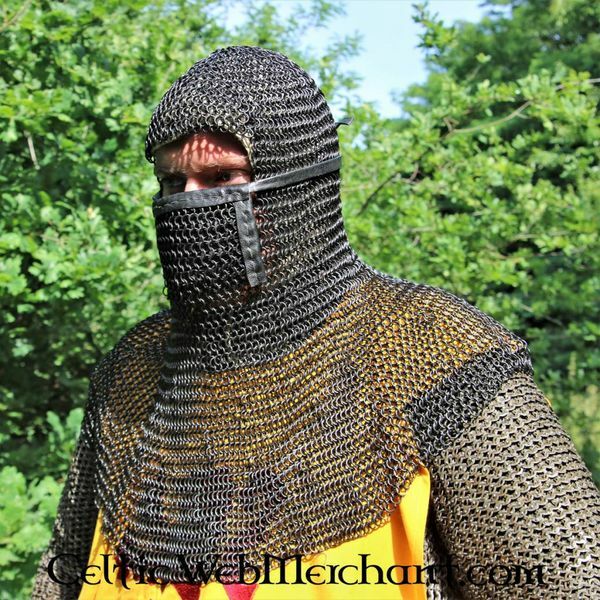 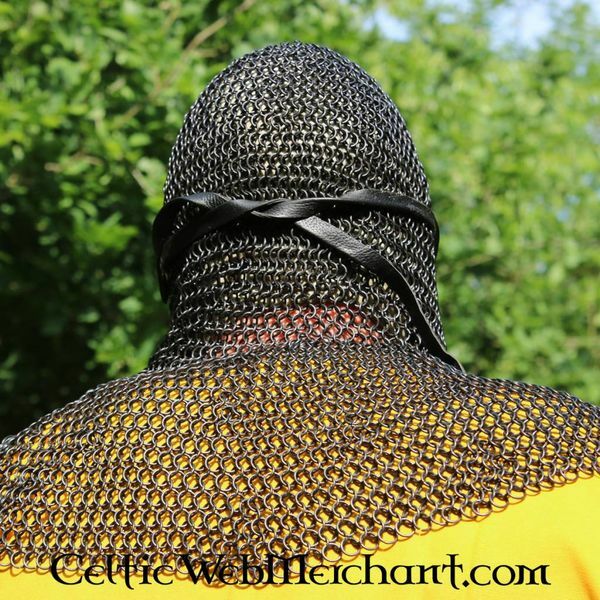 This chain mail coif is made of 1,6 mm thick mild steel rings with an inner diameter of 8 mm. 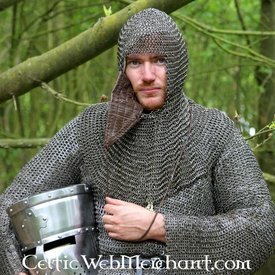 It is woven 4 in 1 from blackened rings. 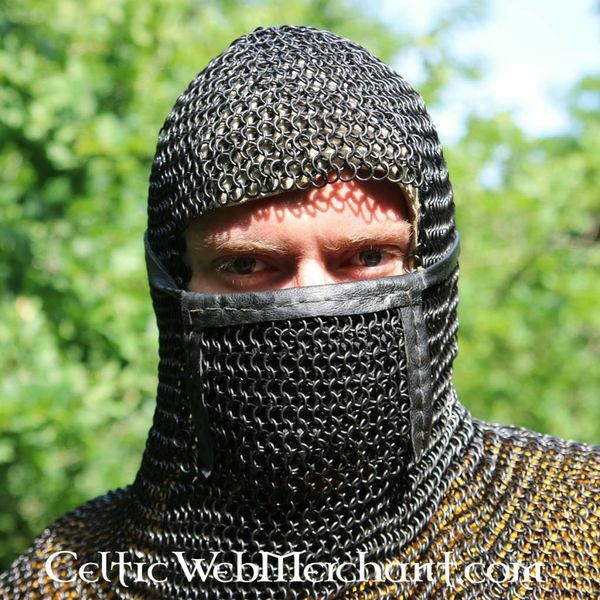 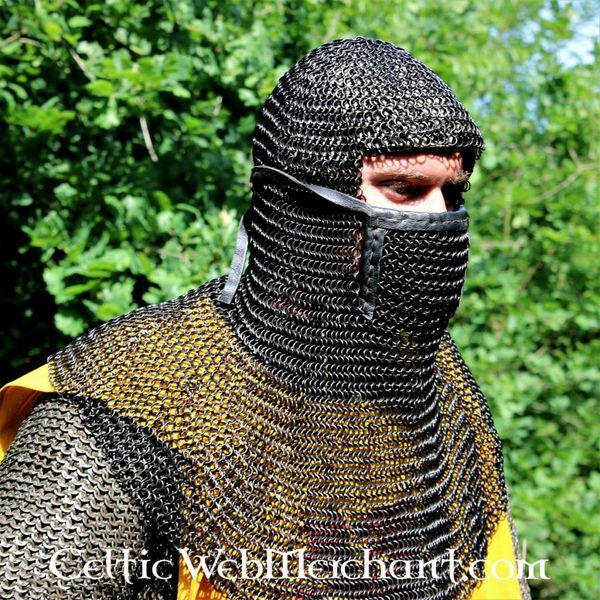 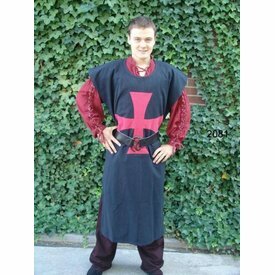 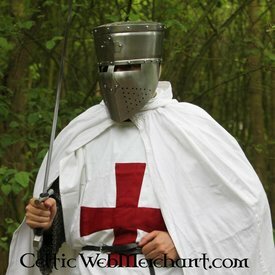 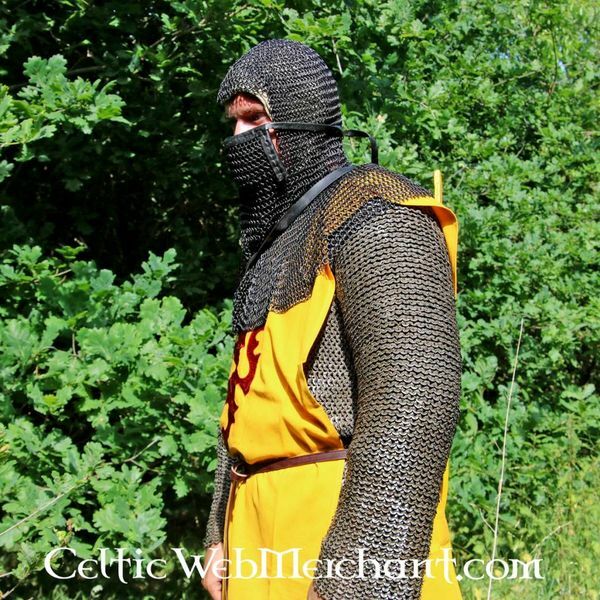 The coif covers the shoulders and has a square visor that protects the chin, mouth and nose. 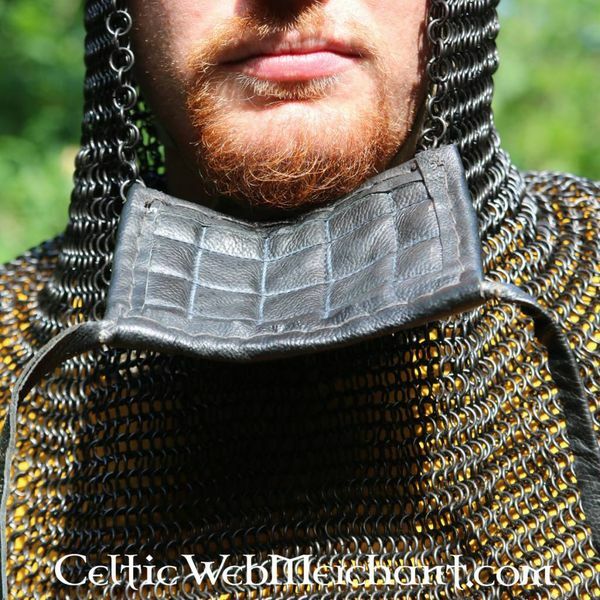 The visor is covered with leather on the inside. 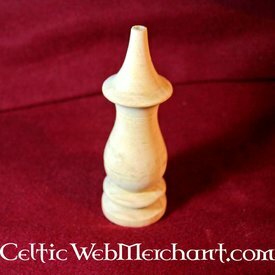 Weight approx. 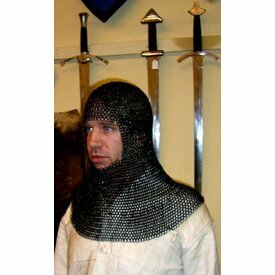 3,3 kg.